Smyth County has gained a reputation through the decades for supporting industry and business, both existing and new. From the early days of the extract plant at Teas, the brick plant at Chilhowie, the Look & Lincoln wagon making company in Marion and the salt works and Mathieson Alkali (Olin Corp.) in Saltville, the County has been a home to many growing and successful manufacturing operations. Today, we have a strong employment base including such well-known companies as General Dynamics, Utility Trailer, Royal Mouldings, TRW, Scholle, Kennametal and United Salt; and many home-grown successful businesses including Smyth County Machine and Welding, Marion Mold and Tool, and C & A Fabricating to name only a few. 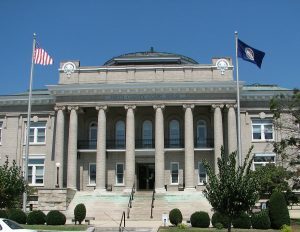 Smyth County is governed by a board of supervisors whose members are elected from each of the seven magisterial districts in the county. The Board of Supervisors is responsible for approving the county budget, setting tax rates, and hiring a county administrator who oversees the day-to-day operations of the County. The County Administrator is the primary contact for the Board of Supervisors. 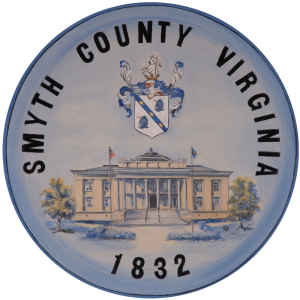 The Board of Supervisors meeting room is located on the first floor of the Smyth County Office Building, (121 Bagley Circle, Suite 100). The office building is located on the grounds of Southwestern Virginia Mental Health Institute (“hospital hill”) near Exit 45 of Interstate 81. Office hours are from 8 a.m. to 5 p.m. Monday through Friday. The Board of Supervisors meets the second Tuesday of every month. Please see the meeting schedule for dates and times of the scheduled meetings. All meetings are held in the Board of Supervisors room.